Improving your home energy efficiency is one of the most effective ways to reduce ones carbon footprint and save on home energy expenses in Washington State. There are many ways to improve the efficiency of your home from cost effective heating and cooling to simply changing light bulbs.Improving your home energy efficiency is one of the most effective ways to reduce ones carbon footprint and save on home energy expenses in Washington State. There are many ways to improve the efficiency of your home from cost effective heating and cooling to simply changing light bulbs. Improving your home energy efficiency is one of the most effective ways to reduce ones carbon footprint and save on home energy expenses in Washington State. There are many ways to improve the efficiency of your home from cost effective heating and cooling to simply changing light bulbs. The federal government has had tax incentives for homeowners to become more energy efficient. Millions have taken advantage of the tax incentives so far, but for the millions who have not there is no indication they will be renewed after the 2011 expiration. 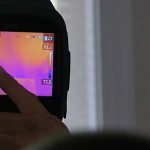 Many of the federal tax credits on energy efficient materials and appliances made it easy for homeowners in Western Washington to be energy savers. The credits were as much as 30% of the total cost of the project up to $1,500. Most credits only applied to existing homes in Washington State, excluding rentals. Here’s the list of items that WAS on the tax credit list. 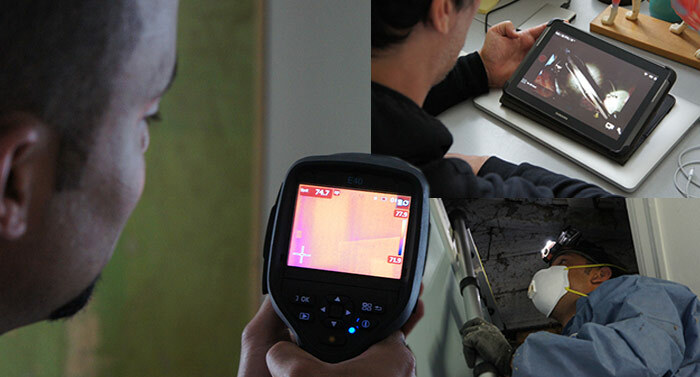 It’s still valuable to homeowners as a guideline for top energy efficient product choices. o Furnaces have increased in efficiency, but developers still typically put inefficient 80% AFUE rated furnaces into new construction. If you are building a home, or your remodel includes a new furnace, be sure to ask your contractor about the standard furnace they use. o Don’t have a gas furnace today? Many local utilities offer rebates for conversion to gas. o Heat pumps offer an energy-efficient alternative to furnaces and air conditioners in moderate climates. Like your refrigerator, heat pumps use electricity to move heat from a cool space into a warm, making the cool space cooler and the warm space warmer. During the heating season, heat pumps move heat from the cool outdoors into your warm house; during the cooling season, heat pumps move heat from your cool house into the warm outdoors. Because they move heat rather than generate heat, heat pumps can provide up to 4 times the amount of energy they consume. Many people have experienced up to a 30% savings in the cost of heating or cooling their homes with a heat pump. (Source: York 2005). o Geothermal heat pumps are like ordinary heat pumps but use the ground instead of outside air to heat, cool and make hot water. They are highly efficient, but installation may have limiting factors such as terrain or space. There are several different types of ENERGY STAR rated pumps that all qualify for tax credits. • Biomass stove (Thermal efficiency rating of at least 75%) o Biomass stoves burn biomass fuel to heat a home or heat water. Biomass fuel includes agricultural crops and trees, wood and wood waste and residues (including wood pellets), plants, grasses, residues, and fibers. o Water heating can account for a lot of the energy consumed in your home. Traditional tank water heaters last from 8-10 years. o Good tax credit qualified alternatives for standard water heaters include Heat Pump water heaters (EF of at least 2.0) and high efficiency tankless water heaters, and solar water heaters. Your local contractor can provide information on the energy and tax savings of each. Solar water heaters must have half of their energy coming from the sun, be used in the house only (not pool), and be certified SRCC to qualify for tax credits. o Qualified solar panels are solar cells that capture light from the sun to provide electricity for a residence and meet applicable fire and electrical code. This credit is more complex; currently listed as 30% of the cost up to $500 per .5 kw of power capacity. This tax credit does not expire in 2010, it runs until December 2016. There may also be local or state subsidies and/or regulations. o An alternative to going completely solar is to have a solar water heater (see above) or solar attic fan. This way you can harness the sun for an individual component of your energy use. The following are current tax credit qualified products where the credit is 30% of the materials only (no labor) of the project up to $1,500. o Bulk insulation products can qualify, such as batts, rolls, blow-in fibers, rigid boards, expanding spray, and pour-in-place. Products that seal air (reduce air leaks) can also qualify, as long as they come with a Manufacturers Certification Statement. These can include weather striping, caulking and house wraps. Note, installation costs don’t count toward your tax credit. o Qualified metal and asphalt roof products can reflect the sun’s rays, lowering roof surface temperature and decreasing the amount of heat coming into your home. The metal roofs must have appropriate colored coatings and asphalt roofs must have appropriate cooling granules – check with the energy star website or your contractor for details. o Energy efficient windows, doors and skylights can truly impact your home’s comfort and energy bills. Typically the tax credit qualifying windows have Low E glass or a similar coating. In addition to these tax credits, there is also a good chance your local utility (in Seattle, Tacoma, Everett or Olympia, WA) has cash incentives for installing energy efficient products in your home. To learn more about these incentives, contact a Washington Energy Services Home Energy Specialist at 1-800-398-HOME (4663). 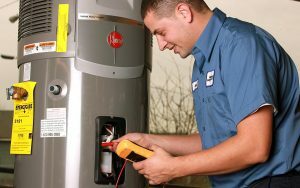 Are there any local,state or Federal tax credits for removing an old oil tank furnace and installing a new gas furnace?